We'll be at The Vintage Market Days® at the State Fair Grounds in Raleigh! Make sure you stop by to see us. Vintage Market Days® is an upscale vintage-inspired indoor/outdoor market featuring original art, antiques, clothing, jewelry, handmade treasures, home décor, outdoor furnishings, consumable yummies, seasonal plantings & more! The Market is a three day event in varying communities throughout the country. 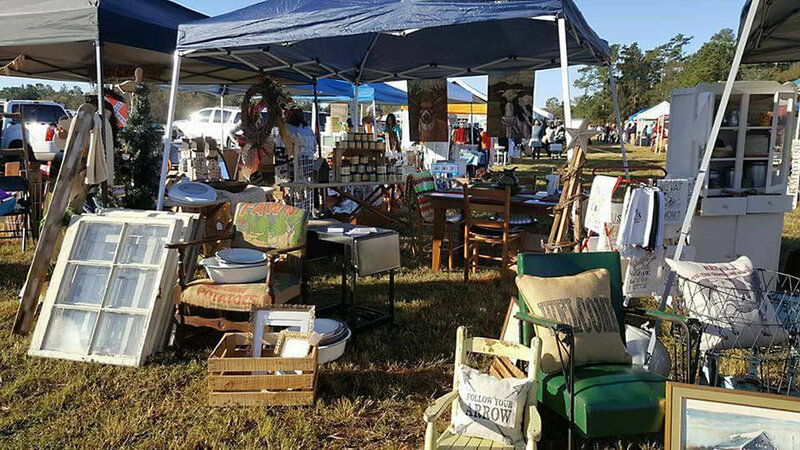 Each Vintage Market Days event is a unique opportunity for vendors to display their talents and passions. Our event will have a unique personality and is guaranteed to be an experience to remember. Whether your thing is upcycled, repurposed, and authentically original merchandise or live music and great food, we will have a little bit (or a lotta bit) of something for everyone. Our goal is to provide the best artisans, craftspeople, pickers and much more from the local area and across the United States all under one roof for the ultimate customer experience. Come on out and join the fun!